Hi,this is the first time I am looking at the metrics for collaborative innovation. Good effort. The author has looked into all the micro level details of the innovation through collaboration process. There are a lot of group dynamics involved and making an innovation hub to work is in itself a herculean effort. People come from all sorts of backgrounds, culture and mindset. Making them to collaborate is difficult, unless there is a relational trigger among themselves. I have initiated couple of programs for innovation hubs within my business unit in my company. Many interesting challenges. Your chart of metrics will help me a lot. 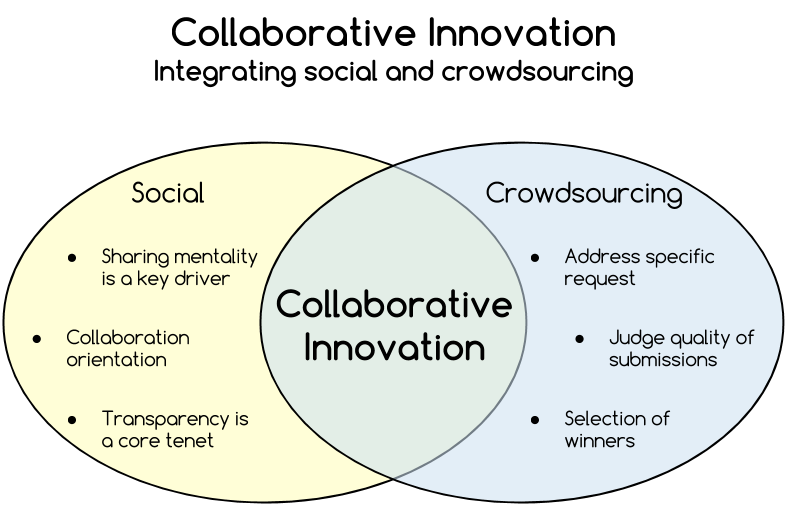 You diagram to integrate crowd sourcing with social media for collaborative innovation is appreciated. What is interesting is that, you have added the “amount of time taken to decide on an idea” which sometimes takes ages for decision makers. I have learnt something today. I will definitely make use of this chart. thank you again. I happen to bump into your site from another site. I will visit again. Cheers, Ramkumar.